Puzzling Queen: Do You Solve Sudokus? I have been occupied with my files transferring them from one computer to another. That is a very tedious task but my husband is waiting for the old computer and my vacation is about to end and I need the files in my work. The waiting has left me some time to think and my thoughts led to this post. I found another new Finnish Sudoku magazine in a local store. Since it had a few variations to the regular Sudoku, I have solved some of them lately. I was already a member of Conceptis community when the Sudoku boom started and saw it happen. The stores were full of new magazines and books from different publishers. As I thought there were too many of them. Most of those first magazines have gone out of Sudoku business. I loved Sudoku at first but got bored after a while. Nowadays I need more challenging puzzles than the regular 9x9 Sudoku’s. Fortunately there are many good and interesting variations available for me. Do you solve Sudoku’s? Do you solve them on paper or online? 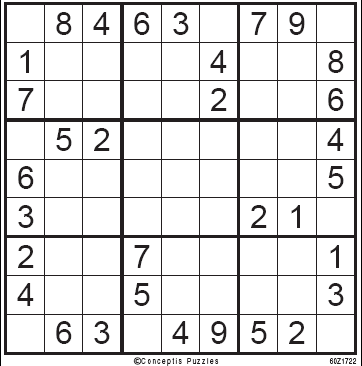 Where do you find the paper Sudoku’s; newspapers, magazines, books or which site do you use? I solve sudokus, but the toughest ones, or I'll get bored. I started with sudoku then Kakuro, and then I found Conceptis and now i am addicted to Pic-a-pix fill-a-pix, hitori, hashi and You get the point. I just purchased a new laptop too and lucky for me all my important files were on my Disk on Key, so all I had to do is copy paste and Ta Da! I always keep my disk on key synchronized with my computer and I have puzzles on it too and the picpuz program, just in case.. I was hooked on sudokus at one time. I would buy thick books and work my way through those. But then I was given a machine that generated puzzles for you, but even that I gave up in the end. On line I like of course Conceptis sudokus in their web or the dayly King Features or The Star (the last one is not forbidden in my office). On line I also like Sudoku Kingdom. On paper I like the magazines published with Conceptis Sudokus but there is another web Bolds.net that a Conceptis friend Izakay provided us with the information. There is a LOT of Sudokus. The best for me are the started section. Sudokus are not the best puzzles for me but I really enjoy them when tryin to solve them in the bus from my daily paper. I like to solve sudoku from time to time.As "morning gymnastic" -to do it only in the mind. Without great systems ecc. So, they have not to be very complicate. I knew different sites once, but today I don't remember them, because I prefere paper. Online I liked puzzles and bowling. 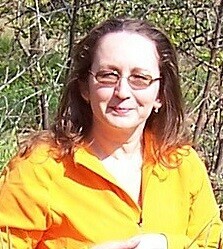 And knew some good sites too, but today I don't use them for about a year. Simply have not time because of studying all that articles about blogging. Hi Leena! Love this blog. I do up to four Sadukos a morning on the web. I don't like the pencil-paper ones. Only online. I go to USA Today, MSNBC, Newsweek (they have 2). They all have similar look and feel that my eyes do well with. I am thinking of adding life.com sudoku but sometimes my eyes don't do well with that one. I once played Sudoku as I find the logical challenge interesting. Now my son had hijacked my Sudoku "toy" gadget and had claimed to mastered it. I never knew that this Sudoku thing had such impact on a 7-year-old kid.